The Uluru Rock is situated right at the center of Australia's outback. One of the more fascinating moments of your life could take place when you finally make the decision to visit the Red Centre of the Northern Territory in Australia and take an Uluru tour. First recognized as a UNESCO World Heritage Site for cultural heritage in 1987, Uluru Rock is a towering red monolith that is legendary in local Aboriginal history and culture. The incredible red rock jettisons from the valley floor into the sky some 500 metres and contains some of the most interesting Aboriginal rock art your eyes will ever feast upon. Uluru Rock is part of the Uluru-Kata Tjuta National Park and offers more to visitors than just a walkabout around the impressive red rock known as Ayers Rock. The national park is the living landscape of culture and history for the Anangu Aboriginal people who have resided on the land for over 5,000 years. During your Uluru tour you will experience the ancestral beliefs that are still prevalent in Anangu society. There are a wide range of cultural habits to learn from making bush food to medicinal plants to dot rock art painting. Did we mention that you will be staring at one of the most impressive red monoliths on the planet? Probably but you won’t know this until you take the plunge and travel to Uluru-Kata Tjuta National Park. AUD 25 for adults 16 years of age and older. AUD 12.50 for children between 5 and 15 years. The entrance fee is good for three days. There are annual passes available for adults for AUD 32.50 and children for AUD 15*. May through September is the best time of the year to visit the park. 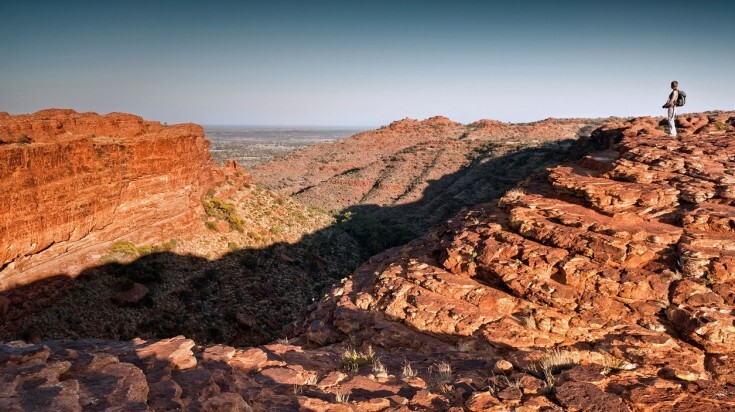 Cooler temperatures during these months allow for easy walking in the Red Centre. During this time period visitors will experience a variety of vivid colours as well as other surprises of Uluru that are brought to life, such as waterfalls. 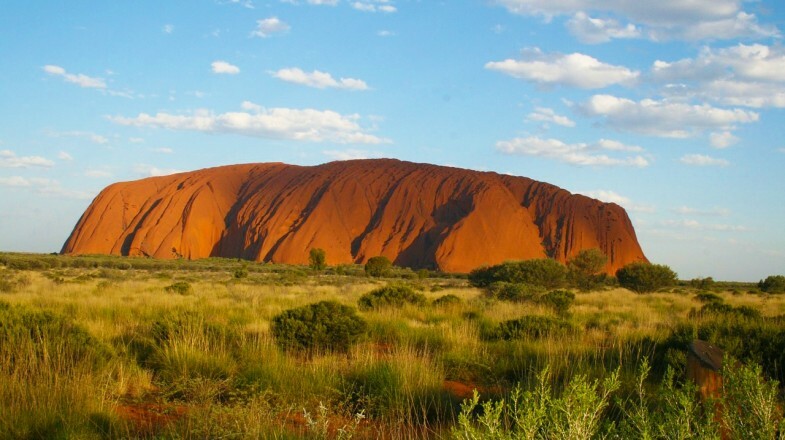 You can take the Red Center Way and visit Uluru along with other highlights of the Red Center. You are probably wondering how you can get to this spectacular place on the planet. There are several ways you can travel to Uluru-Kata Tjuta National Park which include flights to Uluru via Ayers Rock Airport at Yulara on one of three airlines that offer daily flights from Sydney. Driving is another way you can reach the national park. 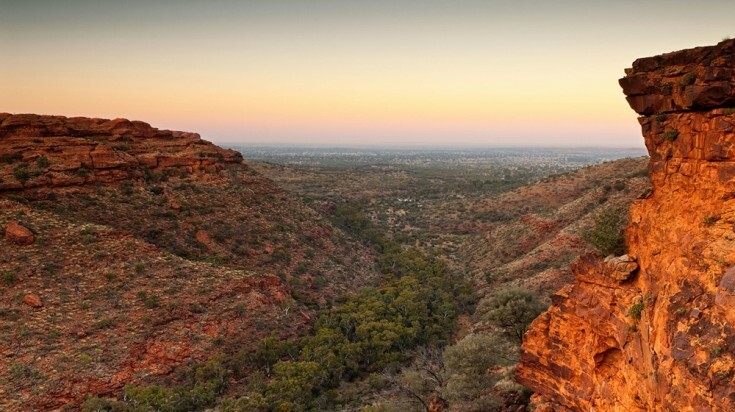 Many people decide to drive through the Northern Territory along the Red Centre Way which allows you to visit stellar places like Uluru, Alice Springs, Kings Canyon and the West MacDonnell Ranges. 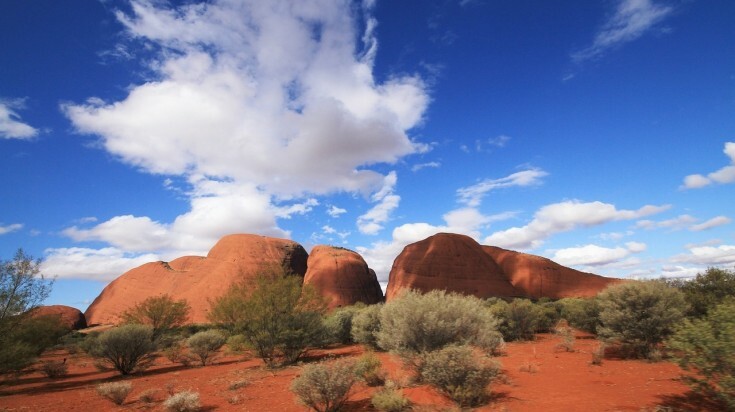 Group tours are another superb travelling option to Uluru-Kata Tjuta National Park. These excursions include stops at more famous places of the Red Centre in the Northern Territory of Australia and even offer exciting camping under the stars where the sky is illuminated in the evening with millions of stars. The Kata-Tjuta also known as the Olgas are another highlight on the Uluru Tour. 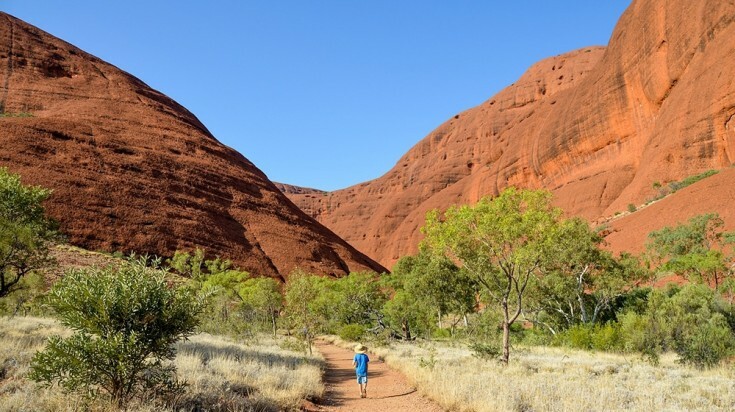 Go on a walk around the Kata-Tjuta for stunning scenery and outback wildlife. Kings Canyon is a perfect place for a hike. The Kings Canyon, a 3-hour drive away from Uluru rock is well worth the ride. The Mala Walk to Kantju Gorge which will have your eyes popping while staring at ancient rock art from the ancestral Mala people. When you are searching for a short track then the Kuniya Walk to Mutitjulu Waterhole is ideal. Here you can experience the home of the ancestral water snake named Wanampi and during the wetter months there are spectacular waterfalls to witness. Kata Tjuta is a must see area while you are on your Uluru trip. At Kata Tjuta your eyes will glow with joy as you view 36 red domes with incredibly steep sides that rise from the desert plain. There are numerous walkabouts to be found at Kata Tjuta such as the Valley of the Wind which boasts brilliant views of the domes and the 2.6km walkabout to Walpa Gorge will have you learning about bush food as well as rare plants. Kings Canyon National Park makes for an excellent day trip from Uluru Rock. Here you will be delighted to view vertical sandstone cliffs which are 100 metres in height and boast vibrant shades of ochre. Be prepared if you decide to take a walkabout on the rim where you will climb the steep Heartbreak Hill before descending down into the Garden of Eden which is a superb waterhole. The Ayers Rock Resort offers free classes on making bush yarn or take a workshop and learn about Aboriginal dot painting. The resort sports a unique dinner under the stars that is complete with an Aboriginal storyteller as well as traditional dances. Summer brings temperatures that push upward and over 40°C in the Red Centre. Stay hydrated while you are on your walkabout and take lots of water with you. Know your walking limitations. Although climbing Uluru Rock is not illegal, the Anangu Aboriginal people would like travellers to respect their culture, heritage and laws by not climbing this magnificent monolith. Climbing Uluru Rock will be prohibited to all tourists beginning October 2019. Do not touch the Aboriginal rock art or decide to engrave your name into the culturally significant red monolith. Get permission before travelling on Aboriginal land. Never stray off marked tracks and stay in designated visitor areas. Entrance fees are required for travellers and can be paid at the main gate of Uluru-Kata Tjuta National Park. A portion of this fee is returned to the Anangu people and the Mutitjulu community to help maintain their values as well as families. 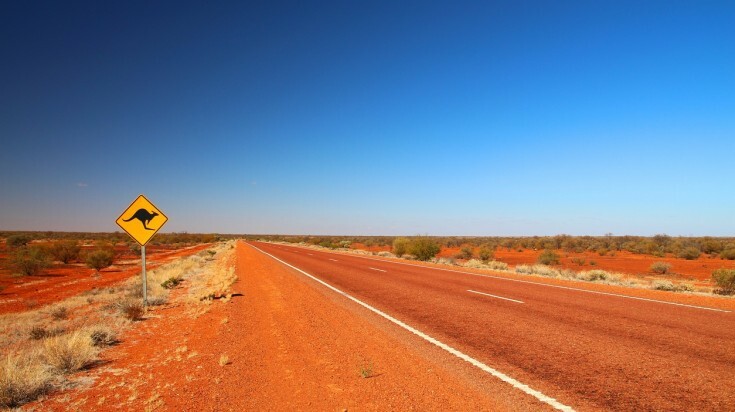 If you plan on driving specific roads through Aboriginal land such as Sandy Blight, Gary Junction, Glen-Helen-Papunya or Docker River you will be required to purchase a transit permit from the Central Land Council. Visit the Culture Centre first where you will find daily presentations on the cultural and natural significance of Uluru Rock. 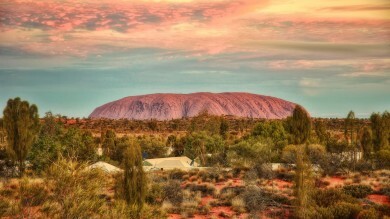 Viewing Uluru Rock during sunrise and sunset are a must “thing to do”. An Ayers Rock tour is a unique experience that allows you the opportunity to mingle with local Aboriginals, listen to dingoes and view the rock that changes colour from pink to purple to ochre. Start your day early and spend time during the afternoon somewhere cool. Uluru-Kata Tjuta National Park is a special place of spirituality, cultural heritage and unique geologic formations that you won’t see anywhere else on the planet. Now that you know what to expect when you travel to Uluru-Kata Tjuta National Park you can now decide which Uluru tour is best for you and your family. *Please note that the prices listed are as of May 2018. 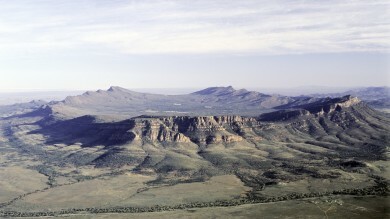 Previous Post Accommodation in the Flinders Ranges: Where to Stay?